At Hanford every girl has her own bed both the boarders and day girls and you would be hard pushed to tell the difference. Most girls sleep in the main house, with the exception of the Upper VIth who have their own separate boarding house called Fan’s. There are 14 dorms in total on the first and second floor each with their own name. Some are named after famous English poets Donne, Marvel and Milton and others after early English dramatists Johnson, Shakespeare, Beaumont and Fletcher. The younger girls are on the first floor where the dorms are light and airy with views across the Box Garden and down the drive. Girls love these dorms because they are roomy and bright and feel very homey and welcoming. Upstairs, in the attic, quirkily shaped rooms defined by the angles of the gables provide smaller dorms, some of which are interlinked for older girls who love their labyrinthine layout. Each dorm has been given its own individual character through different colour schemes and retain their original panelling and ceiling mouldings. One, once the billiard room, is dominated by an enormous 16th century Flemish-style stone fireplace complete with bare-breasted caryatids on the pedestals and Roman soldiers carved into the frieze. Another looks more like a set from Hogwarts with its Victorian oak panelled walls, wide floorboards and characterful period fireplace. We want girls at Hanford to feel as much at home as is reasonably possible. They can decorate the walls around their beds and keep toys and special bits they want to bring from home in their lockers. Often all the girls will collaborate and decorate their dorm collectively as they make themselves at home. During the day the girls get changed in the dorms for games and in the evenings they will hang out with their friends, read books, play games and relax. 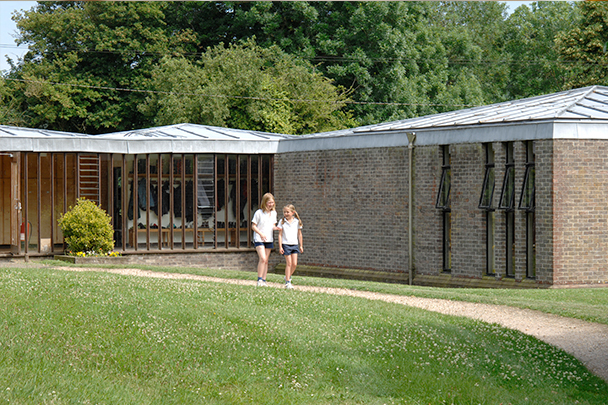 Fan’s is the purpose built boarding house for the UVIth. This is where the girls can begin to get ready for the transition to their senior school. The regime is slightly different in that it encourages girls to take more responsibility for themselves, their belongings and their organisation. It’s hard to tell the difference between boarders and day girls at Hanford, as everyone has their own bed. With over 90% of the girls in the junior years being full boarders it is really important to have lots of pastoral support. The girls are looked after by a great team of matrons including two senior matrons with years of experience between them. They are supported by a team of gaps. The Headmaster’s wife, known affectionately by the girls as Mrs J, heads up the pastoral team and always makes time to listen to the girls’ funny stories and their concerns, building trust and earning their confidence. Her team supervises everything from getting up in the morning to going to bed in the evening. They are on hand throughout the day, even sitting with the girls during lunchtime and they are brilliant at picking up on and spotting any potential issues often before they happen. Hanford prides itself on being a truly happy school where girls can enjoy their childhood making friends and memories that will last a lifetime. Even the briefest telephone call can mean the world to a parent of a child at boarding school. At Hanford the girls have their own dedicated telephone lines that forward to mobile phones so they can take the call somewhere comfortable and quiet. Parents are welcome to call their girls but it is often best, unless in an emergency, if they call after supper. We advise parents of new girls to let their daughter settle for a few days before making regular calls, as even the strongest and most independent child can find the transition to boarding takes a little time. At Hanford we set aside time on Sunday before Chapel for letter writing, where staff are on hand to assist. 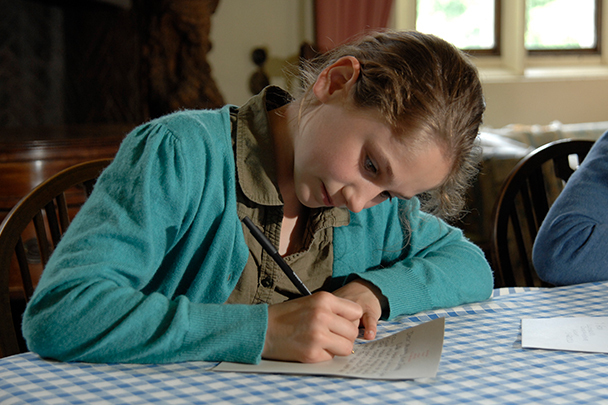 The girls soon learn to enjoy writing, often sending multiple missives to friends and family and learn how exciting it is to receive post and parcels. Each girl has a personal email address which will be given to them when they arrive at Hanford. They can send emails from school computers in the ICT room, as we do not allow mobile phones or other wifi enabled devices at school.